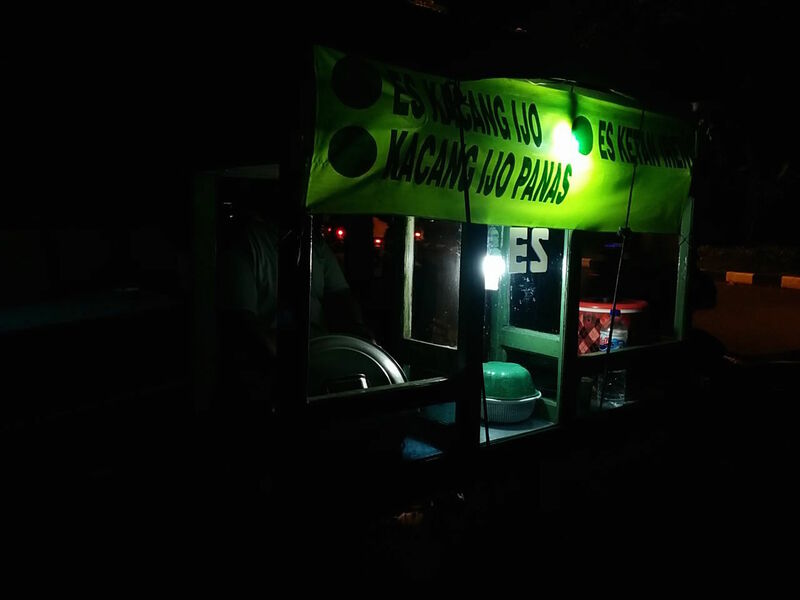 Behind this humble street vendor in Rungkut, Surabaya, a guy cool himself down with a bowl of Es Kacang Ijo. He look like a worker from the nearby factories. His age must be around 40 years. And it seems that he just finish his meal back home. One bowl of Es Kacang Ijo is enough to boost his morale and make him look fresh. After he finish with the dishes he walk to me and borrow my lighter. “Nyantai, pak?” I ask him calmly. He only nod, and with a smile he said thanks and continue his life.